MetroSonic Recording Studio braces for second impact as we welcome back the heavy rock group The Damned Things to finish up their overdubs. 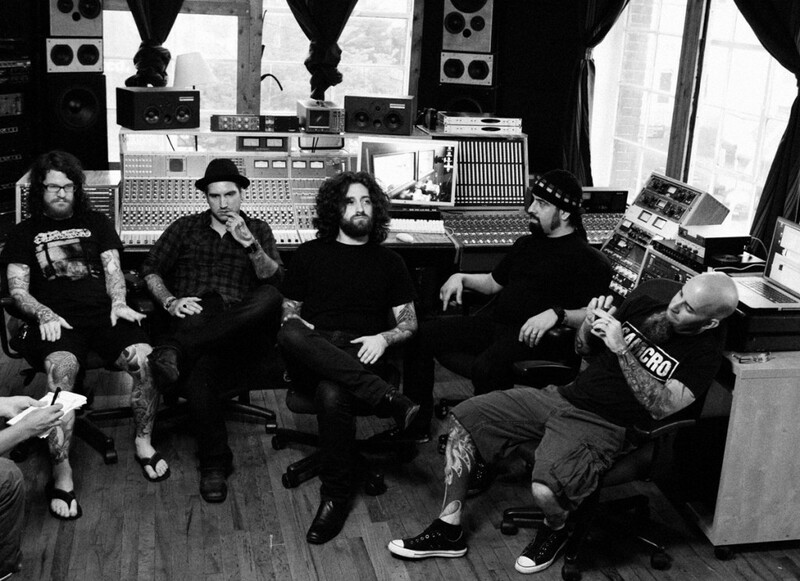 Rob Caggiano (producer/engineer/guitarist) and Joe Trohman(producer/guitarist), who had just returned to US from their European tour, came back into studio fully loaded with inspiration and musical ideas ready to blow. 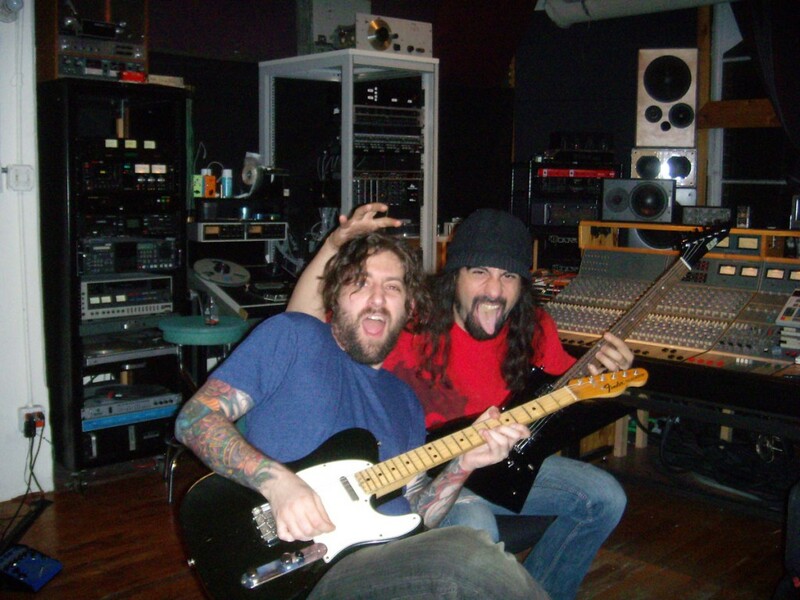 Since studio staff were fully prepared to meet their lust for high quality sound and work flow, two cranked up the amp and started to shred those guitars the minute they walked into the studio. 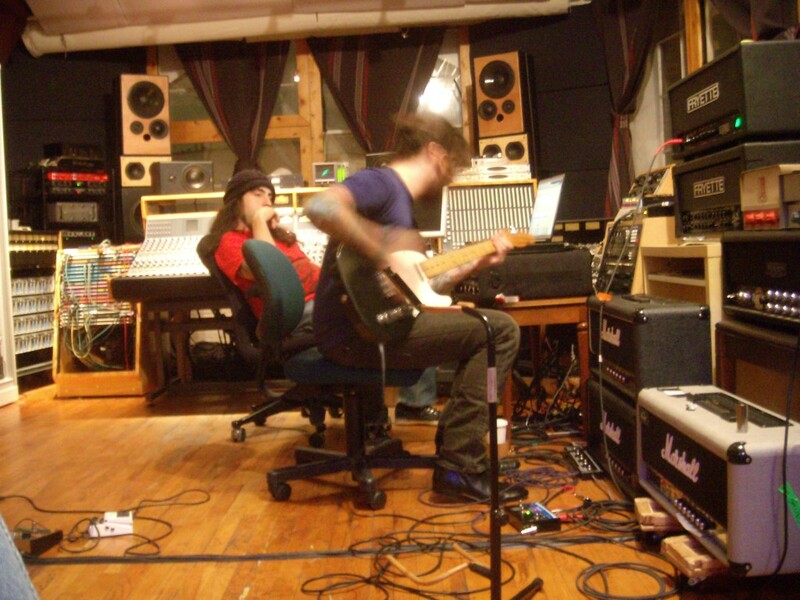 Tracking started off with Joe bashing out the critical rhythm guitar section. Vintage Fender telecaster (in the picture) was plugged into Orange AD30 twin channel amp head, which fed the Orange 4×10. Loads of guitar pedals were summoned for overdubs, which includes Electro-harmonix harmonic octave generator (aka HOG), polyphonic octave generator (aka POG), as well as Way Huge Electronics Swollen Pickle Jumbo fuzz pedal, just to name a few. Next was Rob Caggiano shredding his lead guitar part, and he knows exactly what to do, to get a guitar sound that got “balls.” He played multiple guitars including ESP signature model, which was going into Wizard, Marshall JCM800 amp head, simultaneously feeding Marshall Jubilee 4×10 and Wizard 4×10 cabs. Death By Audio Interstellar Deluxe pedal was inserted whenever extra boost was called for by the song. His mic choice was simple yet effective, using SM57 as a close mic and AT4050 to add a brightness and edge. 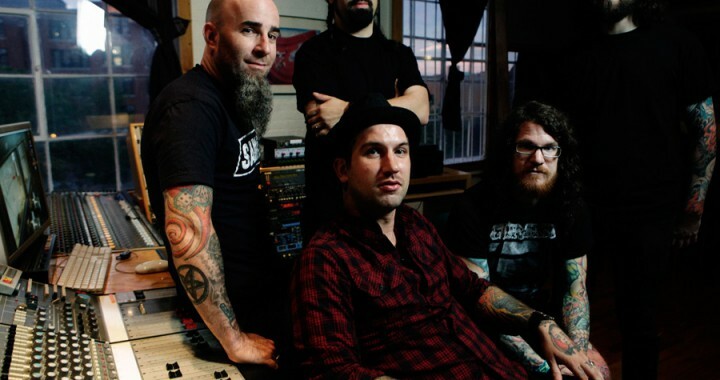 This photo was taken by Clay Patrick Mcbride, right before The Damned Things’ first show ever at Brooklyn’s Knitting Factory. Thanks Clay! 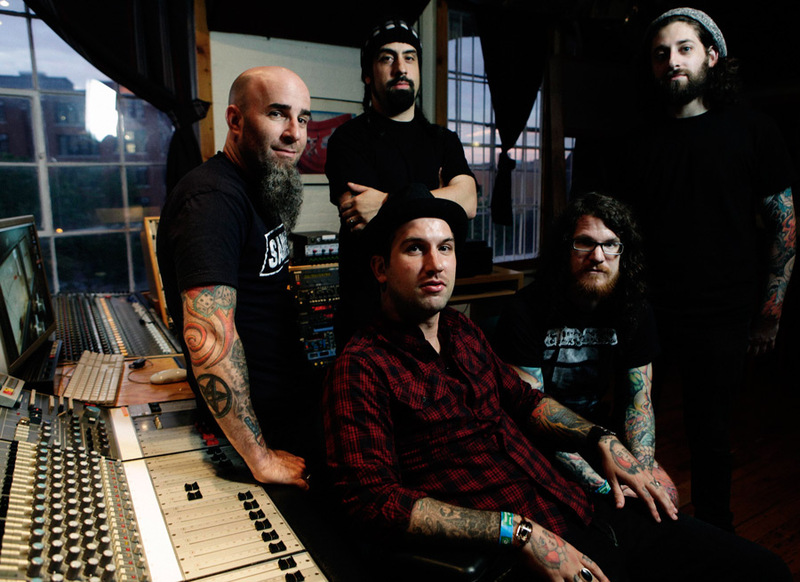 Posted in Artists, Highlights, Metal, Popular Posts, Rock, The Damned Things and tagged Andy Hurley, Joe Trohman, Keith Buckley, Metrosonic, New York City, recording studio, Rob Caggiano, Scott Ian, The Damned Things.